Cosmetic dentistry can range from simple whitening of the teeth to composite and porcelain restorations. Doing porcelain veneers and crowns usually provide the most natural looking result, but sometimes composite material can be used as a more affordable option...and it still looks amazing! 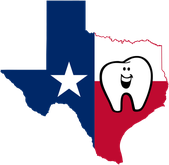 Please contact our office today to see how we can improve your smile! The patient had gone year after year dealing with stained fillings and chipped teeth. Since he tended to clench his teeth, porcelain would have broken in his mouth. He was very conscious of his smile and it was very hard to get him show us his teeth. 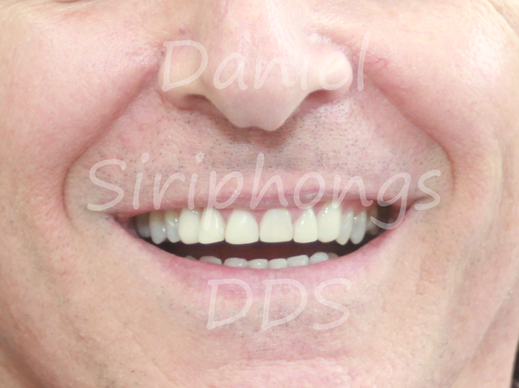 He decided to see what we could do with composite and using whitening. After less than two hours in the chair with no numbing needed, we were able to improve the color and shape of his front six teeth on the top and bottom. We also closed the gap on his lower right side and made things look more natural. Here is the same patient at his six month checkup. He did a month of take home whitening trays. He was very happy with the result and couldn't stop smiling!